Kevin Lerena is the fourth state witness in the Oscar Pistorius trial. Professional boxer Kevin Lerena took the stand at Oscar Pistorius's murder trial in the High Court in Pretoria on Wednesday. He said he met Pistorius, a sports icon, through his sponsor Daytona at the Kyalami racetrack in Johannesburg. 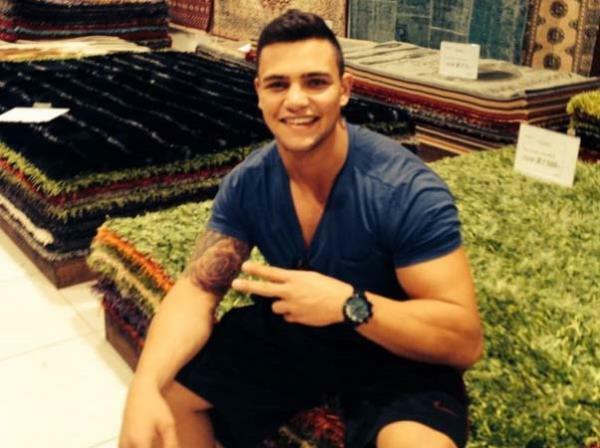 They were there with the owner of the Daytona group Justin Divaris, said Lerena, in a dark suit and red tie. They socialised afterwards and Pistorius gave him advice on his career and on his diet. Lerena was expected to testify on the alleged discharge of a firearm by Pistorius at Tasha's restaurant in Melrose Arch, Johannesburg. Prosecutor Gerrie Nel set the scene by bringing up a visual of the restaurant and Lerena saying that during the alleged incident, he was with Pistorius, Martin Rooney and Darren Fresco. He was sworn in after the third witness Charl Johnson was released, and did not object to his testimony being televised. Pistorius has pleaded not guilty to the murder of his girlfriend Reeva Steenkamp on February 14 2013 and to violations of the Firearms Control Act.